Sometimes, it's hard to know whether or not what you're doing is wrong. Take a quick quiz to make sure you're not the one who should be reading the signs. • From proper posture in your ergonomic office, to cleaning up after yourself in the kitchen, our quizzes help keep everyone on their toes. • Feel free to send these to anyone in your workplace who isn't quite following the rules, or is need of a polite reminder. • Once you pass these quizzes, you can earn a free certificate to show off in your office. Should you send a Facebook friend request to your boss? Learn where to draw the line at work with this quick and fun quiz. Composing crafty work emails is a work of art backed by attention to basics. Take this email etiquette quiz for work and find out how you fare! 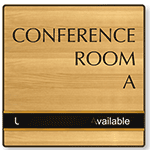 Want to know the Do's and Don'ts in a meeting to maintain the harmony in conference room. Take this 10 questions quiz and know it quickly. Are you a role model or a rule breaker when it comes to using your cell phone at work? Take this quiz to find out! If you're throwing away trash, cleaning up crumbs, or making more coffee, there's a lot to do in the kitchen. Test your kitchen skills. Sure, it's private, but everyone has to use it. It should be clean, and make you feel comfortable. Make sure you're doing your part. Are you comfortable? Irregular posture in the office can have long-term effects on your overall health. See how well you're doing. Do you have an unhealthy relationship with you phone? How often do you message, check email or snap a selfie? See if you need detox!